Azure Functions is an event driven, compute-on-demand experience that extends the existing Azure application platform with capabilities to implement code triggered by events occurring in Azure or third party service as well as on-premises systems. It is insane how easy it is to start developing in Azure functions, and how amazing the payoff is. If coupled correctly with any of the Azure BUS or queue services, you don't even have to worry about developing usually annoying behavior like concurrency or multithreading - Azure functions handles huge degrees of parallelism. 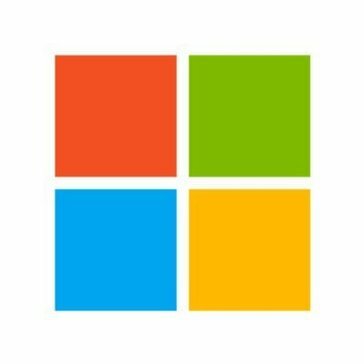 The learning curve is a bit steep - but Microsoft has also started to let their documentation be crowdsourced, which has greatly improved the way learning any Microsoft specific tools is. Ensure you are using proper configuration settings utilizing the portal application settings on overrides for functions - this allows for easier deployments. High availability and high degrees of parallelism are required for some of our clients' huge volume - this was leveraged entirely by uploading information into Azure queues and working together with Azure functions to process it. This is specially important for us as we do not have to worry about peak times, since Azure allows automatic growth or scheduled growth if you already know the times in which you are expecting exceeding volume. "Good, but there is room for improvement." It is a great way to implement serverless architecture. Easy way to deploy from Visual Studio. If the function is deployed from Visual Studio you cannot make any modification from Azure Portal, this includes stopping specific functions or add new ones. Need to consider add insights, the functions itself do not show a lot of historic data. We are creating stand alone processes that doesn't need to have communication with a lot of components. Also we are using them to consume Azure Cosmos DB, storage and service bus resources. Azure functions make API endpoint development a breeze. I use them for work, school, and hobbyist projects. I am a .NET developer, so I love that I can write an API Endpoint in C# and deploy it instantly without having to worry about server administration and setup. Azure Functions allow me to create API endpoints and recurring, cloud-based jobs without having to worry about server setup. Initial design to decide whether to use hybrid with on premise AD to support on premise apps and replicate to Azure AD as a service to support cloud apps, and plan to migrate in an organised manner if eventual solution is going to be cloud based. Using Azure functions allows us to easily build microservices, where we may not have had any other solution in the past. Manipulating a webhook payload and sending a new REST API call can easily be accomplished. We use Azure functions to accept webhooks from various products and manipulate them for alerting purposes. Azure functions are simply easy to use. Literally create a new project and at least in .Net’s case everything you are used to is the same. Write your code as normal with visual studio, debug with breakpoints and world class tooling unlike the AWS offerings. The ci/cd offerings were not as smooth as say cloud formation. The documentation can be hard to parse. We created a highly scalable message based architecture for recording key business events with a service bus triggering system. "Serverless Computing using Azure Functions"
Azure Function is the latest generation of computing. As an end user, It has no computer hardware or software to be installed and set up. It allows me to focus on the business issue to be solved. Azure Function is event-driven or scheduled, and it does not have a user interface to be interactive. I have used Azure Function to automate service request dispatching. This has reduced the amount of human intervention. The number of things to trigger, and the customizabity of alerts. I also liked how easy it was to explain to no -tech people what was happening and how it improved processes. Not much, I wish there was an easy dashboard display just to see what is being trigger, and how often each event happens. It allows for things like easy authorization, and brings stability to programs. "The best cloud platform-Amazing Azure"
The Interface of Azure is simple and effective. You can have your quick link on the Dashboard. Azure Web apps is the best platform I have used for .net apps. Sometimes the alerts and error messages on the portal is not in sync what is actually happening behind the scenes. We have migrated number of customers to easy Azure Platform and they are happy. Similar to function endpoint services by Google and AWS, setting up Azure functions is easy and reliable. I really don't have any dislikes of the service as I have just recently started exploring it as a platform. Just R&D for now. I look forward to integrating other Azure services like AI and ML once I have it all up and running. Provides a highly reliable and secure fully managed process platform.Thanks to scaling on demand, your code will get the resources you need at the right time, thus avoiding having to do capacity planning. The database of a client is analyzed to look for duplicate entries every 15 minutes, in order to avoid sending several communications to the same clients. "Competent SSO option for our platform"
It's a commonly used SSO tool for our customers so it's helpful that it can be used to login to our platform. Integrations with Microsoft offerings are inherently more challenging. Solid option for SSO configuration that works with our sales enablement and readinesss platform. Single-sign on options for our customers. I dont think I disliky anything with Azure functions. The only improvement that i can forsee if the publishing of azure functions when you have multiple accounts. Visual Studio sometimes freeze up and take incorrect account to connect to Azure. 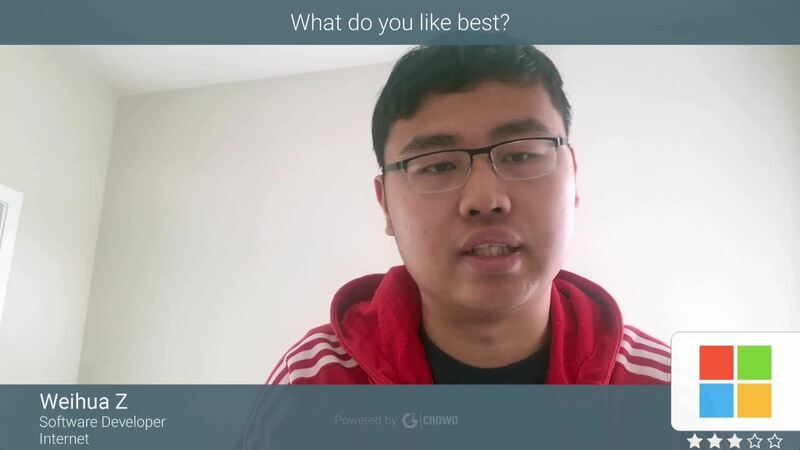 Automation, CRM Dynamics connector, Batch Jobs, Storage Queues and Blob storage. Cost model, only pay for what you use and not for when idle. "It is an excellent WYSIWYG solution to application development and much more..."
My favorite part about Azure wqas the drag-and-drop functionality. I disliked the fact that there wasn't much documentation supplied in a manner that was engaging. Azure makes it easy to deploy and scale enterprise-grade applications and solutions. "Great product for custom code execitoon"
The ability to size and choose how much i want to pay for depending on what i need to process is abslutley great! I love Azure functions because the technical support is good and the pricing is great. This product is great for our database. Ease of use and the way it looks when you use it. "El mejor servicio para iniciados"
Web-based interface with all controls, and lot configuration options to meet the user needs. The user interface navigation, slow, not friendly and tiresome. Setting up azure cloud for distributed computing. The ease and non cluttered approach to using it. The set up process can get tricky for a newbie. Cheap and efficient event handling. * We monitor all Azure Functions reviews to prevent fraudulent reviews and keep review quality high. We do not post reviews by company employees or direct competitors. Validated reviews require the user to submit a screenshot of the product containing their user ID, in order to verify a user is an actual user of the product. Hi there! Are you looking to implement a solution like Azure Functions?